The Best Pool Cleaning & Maintenance – Keeping your pool cleaner all year round. Swimming pool cleaning and maintenance is about more than just turning on a filter and a vacuum. It’s a time-consuming process involving the checking and adjustment of chemicals on a regular basis the whole year round. Regular routine care is the key, even if you have a pool cleaner such as a Zodiac or Kreepy Krauly, pool cleaning and maintenance are a vital part of keeping your water safe all year round. Pool cleaning keeps you and your family healthy. Clean pool water eliminates the presence of parasites, waterborne illnesses or bacteria that could lead to illness for swimmers. Pool cleaning services are Eco-Friendly and safer for the environment. Dirty, murky or contaminated pool water can make its way into the surrounding natural area and nearby groundwater. Using a reliable pool cleaning service such as The Pool Gurus will do wonders for helping our environment. Pool cleaning means your equipment will last longer. When your pool water is constantly murky and contaminated this can place added stress on pumps, filters, and cleaners. As a result – filters, pumps, lines, and cleaners can all be damaged, this can be very costly and damaging to your swimming pool. 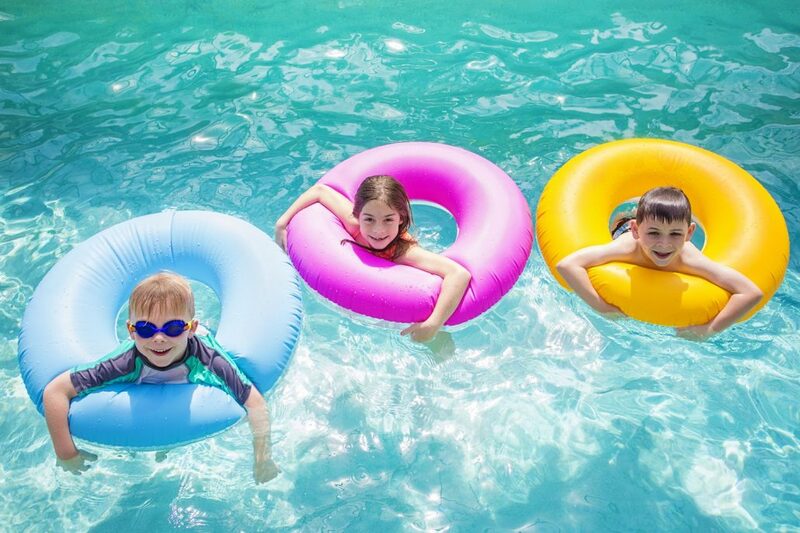 For pools and spas, it is important that the water is tested regularly to determine pH, alkalinity, calcium, phosphates, stabilizer and chlorine levels, as untreated pools are breeding grounds for bacteria. We can determine the correct levels of chemicals that your pool needs, and then we can maintain these levels so that your pool is always safe to swim in. Chemical balance should be monitored and maintained regularly. You should check your chlorine and pH levels at least once a week, or each day if your pool is used frequently. Alkalinity and calcium levels may be monitored less frequently. Chemical checks are a vital part of the pool cleaning process. It’s essential to keep your pools ph level safe. If the ph level is out of the recommended range, then this can cause itchy skin and red eyes as well as reducing the effectiveness of chlorine and thus your pool will not be a clean as it should be. The Aussie standard for pool water pH levels is between 7.0 and 7.8, with 7.4 being the ideal measurement. Heavy Rain, water top-ups, constant swimming activity and chlorine will all change your pools pH level which is why its essential to get a pool cleaning professional to monitor these for you. Keep your total alkalinity at the correct level. If too low then this can cause erosion to pool surfaces and equipment corrosion. Your pools pH levels may also become very unstable as a result. Australian Standards indicate that your TA level should be 60 to 200 parts per million. Raise the level by adding ‘buffer’ – sodium bicarbonate – or lower it by adding pool acid. Unfortunately, calcium hardness levels can’t be monitored using most domestic pool water-testing kits. Instead, its best to get a pool cleaning professional such as our staff to take a sample and provide accurate testing. This test is required no more than approximately once a year with the exception of pool owners using hypochlorite to sanitize their pool. Pool cleaning filters are devices that filter out the water in your swimming pool. The pool filter is attached to the pipes in your pool and helps water flow through efficiently and clean before it enters your pool. Swimming pools are generally topped up through the filter to ensure that the water is of high quality. Your filter should be on for at least 8 hours a day. It’s best to have the filter on a timer so you don’t have to remember to turn it on and off. It is also important to clean out your filters regularly and make sure that they are working to their full capacity. Cleaning cartridge filters are more time consuming because a cartridge filter is not attached to a reversible valve and cannot be back-washed. Instead, the filter needs to be manually removed from the cartridge and hosed off. If you don’t have space for a multi-port valve this is your only option. Pool cleaners are an essential piece of equipment to help in the process of day to day pool cleaning. As mentioned there are many other areas that need to be addressed that we can help with, however having a manual, automatic or robotic pool cleaner is a great start. The most budget option is a manual vacuum cleaner. These are very effective however are extremely time-consuming and will make your pool cleaning job tedious. These units are required to be guided around the pool manually and there is no self-cleaning happening. Manual pool cleaners comprise of a vacuum head that’s fitted to a tele-pole. The units are efficient and affordable however expect to put in a fair amount of work to complete the pool cleaning process. Automatic pool cleaners will save you loads of time in that you won’t have to skim, brush or vacuum the pool much yourself. The device does need to be fitted manually however once this is done there is little ongoing work to enable the pool cleaning process which gives you more time for swimming. These help strain the water through the pools skimmer basket and filter and are attached with a hose to the pools circulation system. A great machine that tracks around the pool bottom and even up the walls while vacuuming any debris and dirt it finds. Pressure is used by these cleaners to move around the bottom and up the walls. A great option since they have their own filter bag and reduce wear and tear on your pool cleaning filter. These units are best used for pools that contain larger debris like twigs, leaves, and bark. If your budget permits, the best option by far is a robotic pool cleaner such as a Zodiac or Kreepy Krauly. These intelligent robots not only do a great job of pool cleaning, they also require the least amount of attention. The upfront costs are larger, however, they will deliver savings on power, water, and chemicals in the long run. Handling any type of debris or dirt, these guys will vacuum the waste straight into their own pool filter, circulating water and guaranteeing a fresher swim. Smart technology also means that the robot can be programmed to handle any shape and size pool. If you require any help selecting, installing or servicing a manual or automatic pool cleaner our friendly pool cleaning staff would be happy to help.